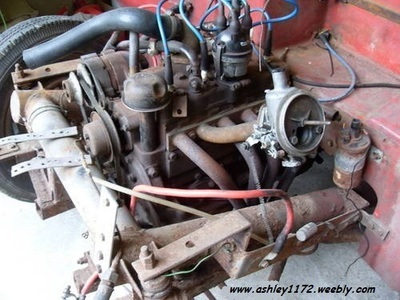 This rare Ford based special is mounted on a genuine Ashley tubular E93A chassis which is confirmed in the logbook. It has a 100E engine which is fitted with an S.U. carburettor conversion and four branch exhaust manifold. The vendor advises us that the engine ran sweetly when last tested. 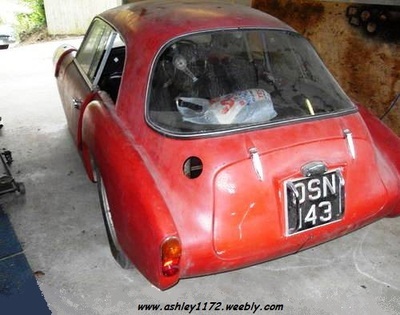 The car will require a considerable amount of restoration work but once completed the new owner will have a very pretty and unusual car to enjoy. The car comes with old and new style logbooks as well as a quantity of spare parts and related literature. 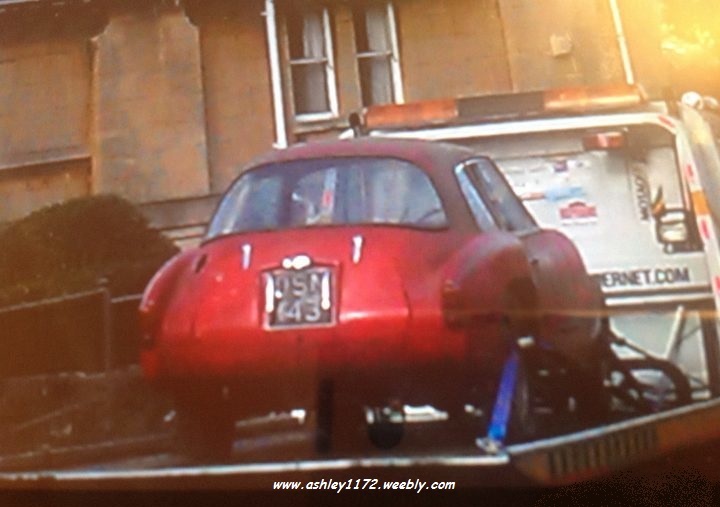 It had a few photo's as shown below plus the one above, which shows that it's probably an Ashley 1172 Coupe and not a Sportiva. looks like OSN 143 on the way to the auction as it was dated a few days before it was to be on. It was only a day later that Charlie, a possible buyer contacted me regards the car, he was going to the race track to check it out and look at the other items at the auction also, we swapped emails with various bits of info and after his visit he sent me some photo's he had taken whilst making his inspection. 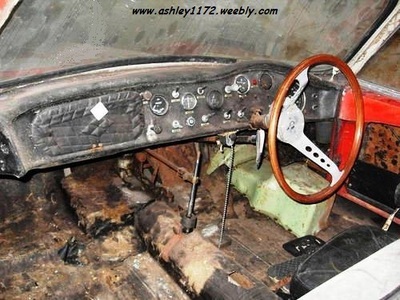 1961 Ashley Sportiva coupe BARN FIND good project very rare car !! This is a very rare Ford based special, it is mounted on a genuine Ashley tubular E93A chassis which is confirmed in the logbook. It has a tuned 100E engine fitted with an su carburetor conversion and a four branch exhaust manifold, the engine ran sweetly when last tested a couple of years ago. 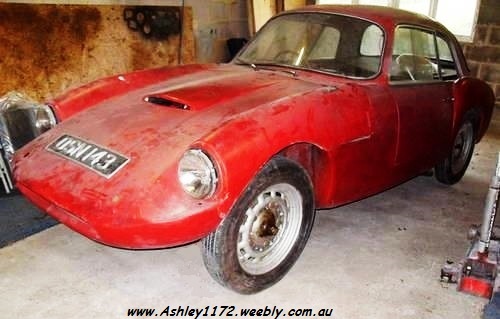 Once completed the new owner will have a very pretty and unusual car to enjoy. The car comes with the old and new style logbooks as well as some spare parts. all exactly the same text with the same photo's as shown below. I hope this auction goes ahead successfully and I look forward to hearing from the next owner and following the restoration and seeing it back on the road again. I will follow the auction and hopefully hear more about the Ashley 1172 soon.